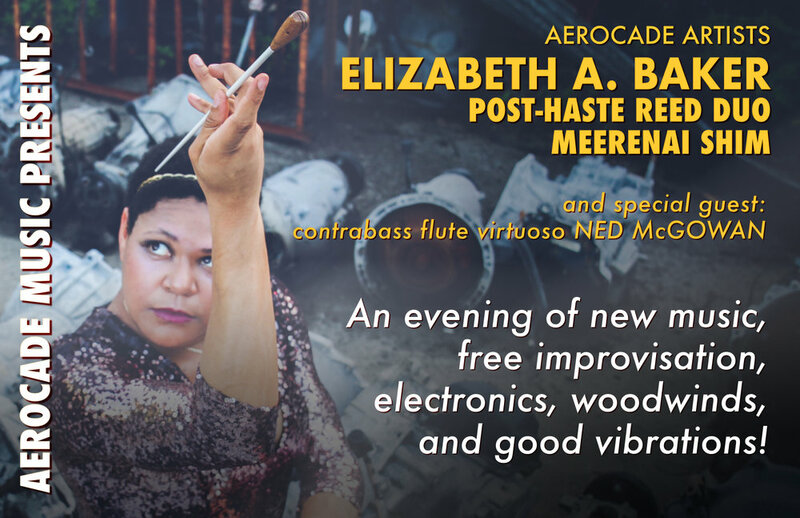 Join Aerocade Artists for an evening of new music, free improvisation, electronics, woodwinds, and good vibrations! Contrabass flute virtuoso Ned McGowan will join the lineup as a special guest. Complimentary refreshments will be served when doors open at 7pm. Elizabeth A. Baker, composer/performer from Florida, will perform selections from her recent release "Quadrivium," including the West Coast premiere of "Sashay" by Nathan Corder. The Post-Haste Reed Duo (Saxophonist Sean Fredenburg and bassoonist Javier Rodriguez) will perform works from their upcoming release, "Donut Robot!” Meerenai Shim will premiere “This is How I Feel” for flute and electronics by Elizabeth Bayer. Friend of Aerocade and contrabass flute virtuoso Ned McGowan will be visiting from the Netherlands to perform an improvised set. Eschewing the collection of traditional titles that describe single elements of her body of work, Elizabeth A. Baker refers to herself as a “New Renaissance Artist” that embraces a constant stream of change and rebirth in practice, which expands into a variety of media, chiefly an exploration of how sonic and spatial worlds can be manipulated to personify a variety of philosophies and principles both tangible as well as intangible. Elizabeth has received recognition from press as well as scholars, for her conceptual compositions and commitment to inclusive programming. In addition to studies of her work, Elizabeth has been awarded several fellowships, grants, and residencies, in addition to sponsorships from Schoenhut Piano Company and Source Audio LLC. As a solo artist, Elizabeth represented by Aerocade Music, her first solo album on the California-based label Quadrivium released worldwide in May 2018 to rave reviews. She is founder of the Florida International Toy Piano Festival, The New Music Conflagration, Inc., author of two books, and the subject of a number of scholarly articles, thesis papers, and other academic research. In March 2018, Elizabeth retired from nonprofit arts administration to focus on her international solo career, though she remains committed to the community through workshops and public speaking engagements. Her first motivational book The Resonant Life inspired by her personal experiences as a professional artist will be released in 2019. The Post-Haste Reed Duo (Saxophonist Sean Fredenburg and bassoonist Javier Rodriguez) has been spreading the beauty and warmth of their unusual pairing of instruments internationally for almost a decade. 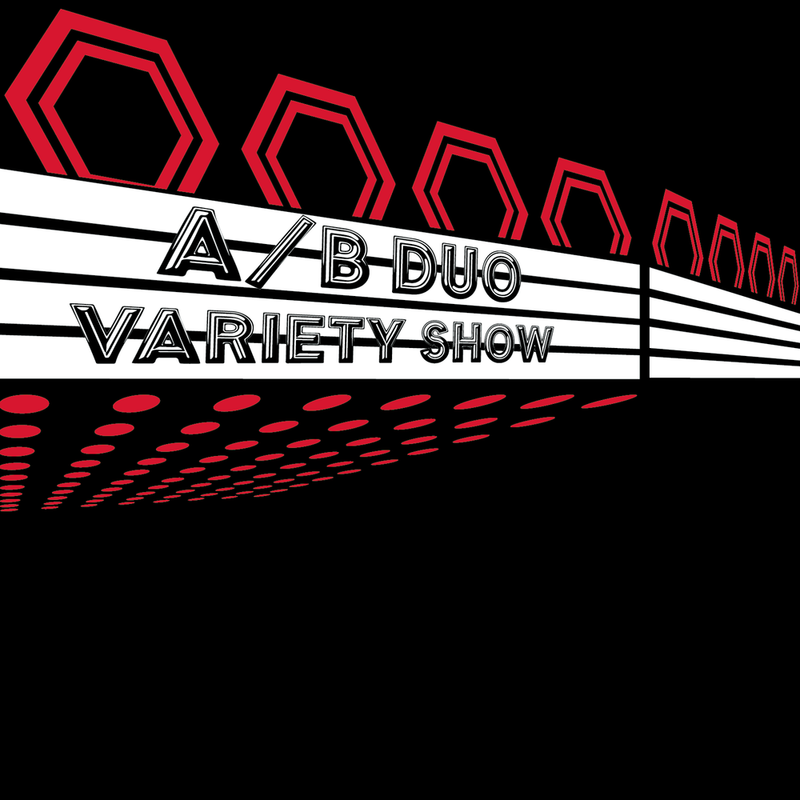 They have worked to increase the amount of quality chamber music literature for saxophone and bassoon duo, and to encourage young musicians to experiment performing in non-traditional chamber ensembles by collaborating with composers towards new works that highlight the capabilities of these two instruments individually and together. 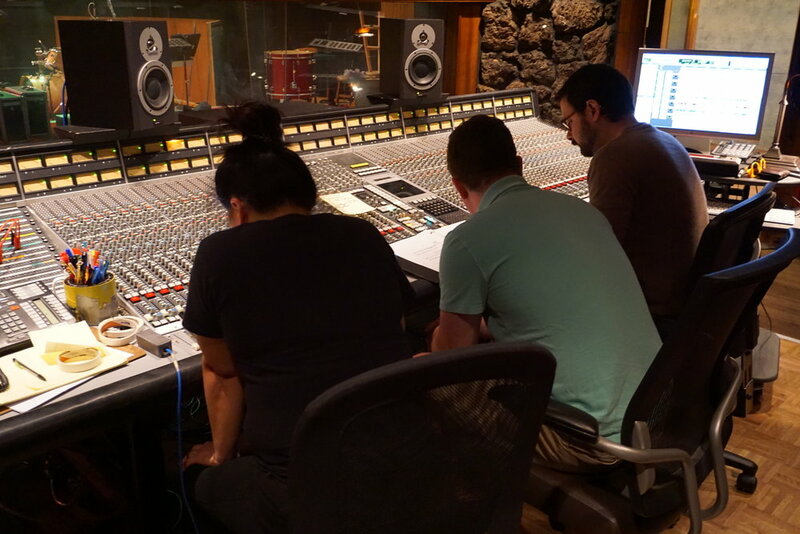 When they are not performing together as a duo, Sean can be found teaching at Portland State University in Portland, OR, while Javier teaches at the University of Idaho in Moscow, ID. Flutist Meerenai Shim is one half of the innovative flute and percussion duo, A/B Duo, and the a member of the award-winning contemporary flute ensemble, Areon Flutes. Her third solo album, the all-electroacoustic Pheromone, is available on the Aerocade Music label. Ned McGowan (1970) is a flutist and contemporary classical music composer, born in the United States, living in the Netherlands. Known for rhythmical vitality and technical virtuosity, his music has won awards and been performed at Carnegie Hall, the Concertgebouw and other halls and festivals around the world by many orchestras, ensembles and soloists. As a flutist he plays classical, contemporary and improvisation concerts internationally and he has a special love for the contrabass flute, in 2016 releasing the album: The Art of the Contrabass Flute.